A combination of mushrooms, water chestnuts, bamboo shoots, baby corn, and fresh diced vegetables on a bed of soft egg noodles. 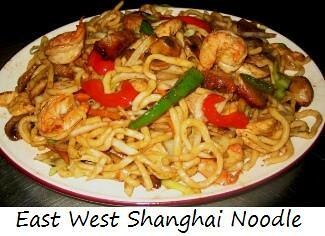 The classic American-Chinese noodle dish done the East West way. 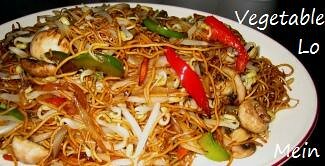 A combination of shredded vegetables and bean sprouts are stir-fried with soft egg noodles. 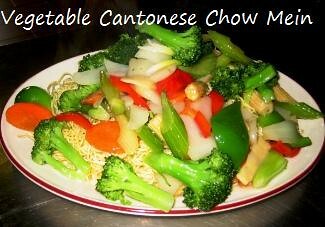 Like our Kwongtung Lo Mein, but made with a thicker, heartier noodle similar to the Japanese Udon noodle. 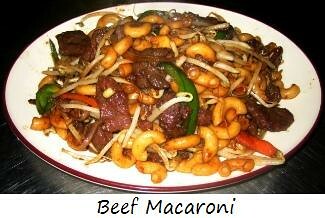 To spice up the above noodle dishes, $1.00 extra.